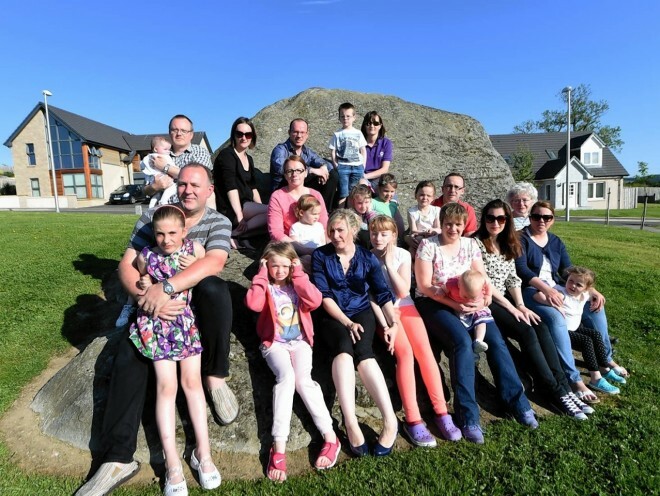 A group of Kemnay residents have rallied together to raise their safety fears over a planned housing development. Barratt North Scotland want to build 66 properties near the village’s Bogbeth Park, on land off Greystones Road. But local residents have raised concerns about the knock-on impact the development would have on the already busy Bogbeth Road beside the park. They also believe the village’s health centre, schools and other amenities will be unable to cope, and claim many people within Kemnay are unaware of the proposals as the developer did not properly publicise a public consultation. 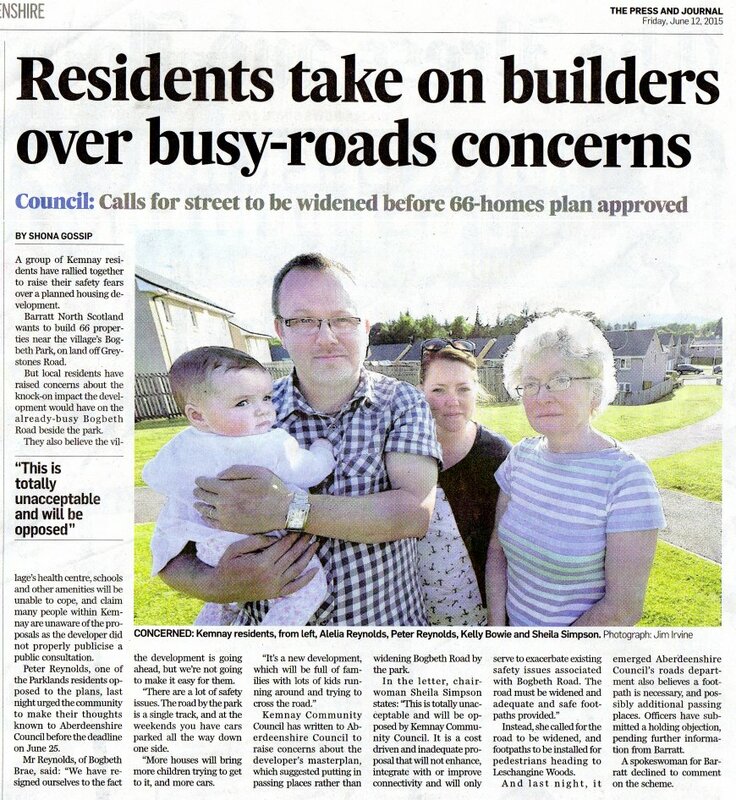 Peter Reynolds, one of the Parklands residents opposed to the plans, last night urged the community to make their thoughts known to Aberdeenshire Council before the deadline on June 25. Mr Reynolds, of Bogbeth Brae, said: “We have resigned ourselves to the fact the development is going ahead, but we’re not going to make it easy for them. “There are a lot of safety issues. The road by the park is a single track, and at the weekends you have cars parked all the way done one side. It’s fantastic the park is so well used, but more houses will bring more children trying to get to it, and more cars. Kemnay Community Council has written to Aberdeenshire Council to raise concerns about the developer’s masterplan, which suggested putting in passing places rather than widening Bogbeth Road by the park. Instead, she called for the road to be widened, and footpaths to be installed for pedestrians heading to Leschangine Woods. And last night, it emerged Aberdeenshire Council’s roads department also believe a footpath is necessary, and possibly additional passing places. fficers have submitted a holding objection, pending further information from Barratt. A spokeswoman for Barratt declined to comment on the scheme.